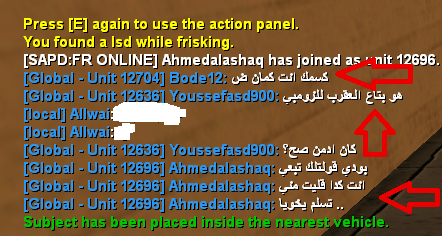 Username of player you are reporting: Bode12 - Ahmedalashaq - Youssefasd900. Which rule(s) did the offender break: Talk Arabic In Global , And Bode12 He cursed my Mother. Which punishment do you believe is fair for the offender: Ban. Banned all 3 for two weeks so they can figure the rules again. Thanks for the report.